American Flatbread Kitchen, Waitsfield, VT 802-496-8856The goals of American Flatbread Company are: To produce good flavorful, nutritious food that gives both joy and health. To create a pleasant, fulfilling, sustainable and secure experience with everyone involved in this work. To produce, package, market and distribute our product in an environmentally conscientious way. To support with our voices and our buying power: local, regional and sustainable agriculture; the forces of peace and understanding; the cultural, economic and environmental needs of native peoples world wide; the ecological needs of the wild fauna and flora. To be an educational resource to our community. To be a good neighbor. To laugh and be of goodwill. To be grateful, respectful and forgiving. To create financial security for the company and its investors. Bove's Restaurant - Burlington, Vermont- 68 Pearl Street Burlington, VT 05401 Phone: SauceLine (888) 545-2321 Restaurant (802) 864-6651 Fax: (802) 651-9371 Italian food means pasta, and the best gourmet Italian Pasta Sauces come from Bove's Italian Restaurant in Burlington, Vermont.Italian food means pasta, and the best gourmet Italian Pasta Sauces come from Bove's Italian Restaurant in Burlington, Vermont. Description: Steak and Seafood restaurant. Serves lunch and dinner. Buses welcome. Price; moderate. Visa, MC, Amex, Diner's, Carte Blanche, Discover accepted. Search for two- and four-year degrees in Culinary Arts and Baking. Since opening more than a decade ago, Veranda Restaurant has developed a reputation as being one of the finest restaurants in the Adirondacks. Veranda offers both traditional American and French cuisine, prepared by world-class Chef Claude Gaucher of Dijon, France. For reservations call 523-3339. 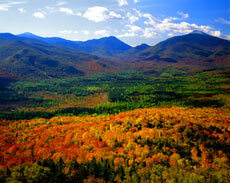 Dine in a spectacular mountain setting at the Lake Placid Resort. With an open-beamed ceiling, a massive stone fireplace, magnificent antler chandeliers and sweeping views of the High Peaks, your meal at our resort is the epitome of an Adirondack experience. Find premium wines online at discount prices. Save 20-50%. Free shipping on all purchases over $25. Abbie Lane Restaurant - Imaginative American cuisine prepared with the freshest local products. Ariel's Restaurant & Pond Village Pub - An elegant restaurant and a friendly, unusual pub serving dinner Wed - Sun, by the floating bridge in historic Brookfield. Order groceries online and get free delivery! Save time and money! Aroma Round Coffeehouse Cafe - 18 Saranac Ave Lake Placid, NY 518-523-3818 Great Coffee! Bass Restaurant - Bass Restaurant at Sugarbush is casually sophisticated, embracing the New American cuisine - a tribute to the ethnicity of every American. Bove's Restaurant - Italian food means pasta, and the best gourmet Italian Pasta Sauces come from Bove's Italian Restaurant in Burlington, Vermont. Cactus Cafe - Welcome to the cactus cafe of Stowe! Check out our house applewood smoked rib & trout to take home or give to friends!!!!! Cafe Shelburne - Friendly French Restaurant, Winner of the taste of Vermont Grand award two years in a row. Chipotles, A Mexican Eatery - Chipotles is Plattsburgh's premier mexican restaurant offering casual dining and full bar in a smoke free environment. We are located at 13 City Hall Place next to Trinity Park. Learn the culinary skills you need to get ahead! A variety of degrees and programs await you. Countryman's Pleasure - Fine Austrian, German & Country . Full Moon Cafe - Vermont's first internet cafe and nonprofit arts and community center restaurant. Galley at Westport Marina, The - Eclectic cuisine. Serves breakfast, lunch, and dinner. Located on the water. Buses welcome. Price; inexpensive to moderate. Visa, MC, Amex, Discover accepted. Gordie's Gazebo Steak & Seafood Restaurant - Offering the fine dinning in pleasant atmosphere. Try out hickory smoked BBQ dishes! Located on Route 37 in Malone, NY. Gracie's Restuarant - The restaurant is as personal as its namesake. Take a seat and you'll notice you are surrounded by pictures of our four-legged friends. They'll wet your appetite for the tongue-in-cheek menu. Hemingway's Restaurant - Four-star dining. Four diamonds too. For the love of fine cuisine it's Hemingway's--a beautifully restored country home where food and wine meet their match. Worth a special trip, Mobil Guide. Le Bateau-Mouche (cruises) - Located in Montréal (Quebec), a glass covered boat offering each day 4 excursions and a dinner-cruise every night from mid-May to mid-October. LE FESTIN DU GOUVERNEUR - Le Festin du Gouverneur offers you the Québec experience at its most engaging and rewarding. Le Montrealais (The Queen Elizabeth) - 900 Rene-Levesque Blvd. Libby's Blue Line Dinner - 46 HIGHPOINT CENTER (JUST OFF EXIT 6, I-89) COLCHESTER VT 05446. A traditional New England style diner serving breakfast, lunch and dinner in a 1953 Worcester Lunch Car Co. diner. M E N U M A I L - M E N U M A I L (tm) delivers email announcements directly to local college students w/ discounts, promos & specials being offered by local eateries, pubs, bars & restaurants. Call 324-1603 for info. Mirror Lake Inn, Averil Conwell Dining Room - American/Spa cuisine. Serves breakfast and dinner. Located on the lake. Buses welcome. Price; Inexpensive to moderate. Visa, MC, Amex, Discover accepted. Mirror Lake Inn, Cottage Cafe - Pub menu. Serves lunch and dinner. Located on the water. Price; inexpensive. Visa, MC, Amex, Discover accepted. Mist Grill - New England country bistro, bakery and gallery located in a 200 year old grist mill. Breakfast and lunch daily, special weekend din ners and Sunday suppers. Ole Tymes Cafe - 90 Lake St.
Pizza Bono - Authentic Italian Dining in the Heart of Plattsburgh. Located at 93 Margaret St. 518-561-8541. Reservations accepted. Much more than just Pizza. Pizza on Earth - Wood-fired gourmet pizza using farm fresh ingredients. Ponderosa Restaurant - American/Italian/Steak and Seafood restaurant. Serves lunch and dinner. Buses welcome. Price; inexpensive to moderate. Restaurant Davinci - Located in a beautiful Victorian dwelling in the hear Montreal, Ristorante. RUTHCLIFFE LODGE & RESTAURANT - SECLUDED ISLAND GETAWAY. B&B WITH SIX LAKESIDE ROOMS ALL WITH PRIVATE BATHS. ON-PREMISE RESTAURANT SERVING WONDERFUL ITALO-AMERICAN CUISINE. OPEN TO THE PUBLIC, DOCK & DINE. Sirloin Saloon of Manchester - Steak, seafood, extensive salad bar featuring fresh organic Vermont vegetables. Sirloin Saloon of Rutland - Steak, seafood, extensive salad bar featuring fresh organic Vermont vegetables. Stowe Yacht Club Restaurant - Affordable family fare and an abundant health salad bar await you at out lakeside setting. Feast on Roast Prime Rib - our specialty - or other carefully prepared entrees from our varied menu. The Butcher Block Steak & Seafood - Steak and Seafood restaurant. Serves lunch and dinner. Buses welcome. Price; moderate. Visa, MC, Amex, Diner's, Carte Blanche, Discover accepted. The Common Man Restaurant - Since 1972, the most romantic 19th century barn in New England. Casually elegant, excellent European food, superb wine list and professional service. The Prince & the Pauper - One of Vermont's finest restaurants, serving dinner nightly. Our prix fixe menu changes nightly and offers an eclectic array of world cuisine, prepared with the season's finest produce. The Whip Bar & Grill - In the heart of Stowe Village. We take pride in providing excellent food in a warm and friendly atmosphere, including many creative vegetarian and healthy menu choices. Toadstool Harry's - Come and see where food and entertainment come alive! Up For Breakfast - We offer the best breakfast in Manchester Center, Vermont, and have been satisfying Vermont travelers and Vermonters for more than a dozen years.